A little over two years ago, I wrote about 57 West, a church that caters particularly for the homeless (see here). Two years later, I reviewed a book, written by the minister of that church, Dan Pratt, explaining some of the theology behind this unusual way of doing church (see here). In all sorts of ways the church has grown, such that it has now far outgrown the existing premises. 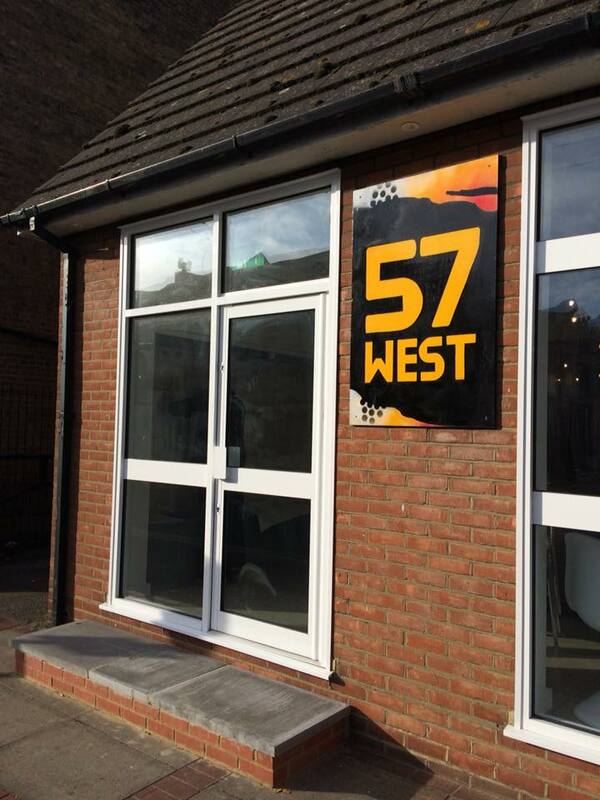 In the week that has just past, 57 West has relocated to a much larger and better resourced premises that is located at Clarence Road Baptist Church, 6 Clarence Road, bang in the centre of Southend. This is a community focused church that has been going on for nigh on two hundred years, which I wrote about two months ago (see here). Transforming part of the existing church premises into something that best utilises the space for the benefit of those it is meant to benefit, i.e. rough sleepers, has been a major undertaking that has been appropriate, successful and worthwhile. Today they dedicated to God the new premises and prayed a blessing over the new associate minister, Pam Davies, and I got to attend. It was good to listen to the story told by many people of how it all came into being etc., people sharing their experiences and perspectives, and enjoying the food and hospitality on offer. A good number made heartening contributions in the dedication of the building. It was also a chance to see around and meet some of those involved in this new venture, which was well attended, and meet friends old and new, including some of the homeless folk I have got to know over the years. I was humbled and impressed on so many fronts, starting with some brilliant paintings of some of those who attend, by local artist John Bulley. The practical needs of Southend’s homeless is enormous and many agencies are involved trying to help, but the need for a community focus, like 57 West, where such folk can feel part off and be welcome is every bit as important. The good will felt and sense of joy, hope and expectancy emanating from the mixed crowd who were in attendance was palpable and moving. I look forward to seeing developments in the months and years to come, and be part of the ever growing band of well wishers and supporters. While never a time to rest on one’s laurels, those who played a part (and there have been many) in bringing to pass this new chapter in the 57 West story are to be congratulated. The reason for being modest concerning achievements is many of those who are part of this extraordinary church family have many and varied still to be met needs that hopefully will be met through the compassionate endeavors of the collective and, dare I say it, the Lord the church seeks to honour. I wish the new venture well and am confident it will prosper if it remains true to its vision. I thank those involved in helping to restore my faith in what church can do.